Editing the large battle sprites isn't implemented yet. The only way you could get around it is to use a smaller sprite to get the look you want and change Zeon's sprite index via hex editing to look for the new sprite. The first ~6 banks of text are basic system things you probably shouldn't mess with. Stuff like "[Name] is poisoned! ", "[Name] dropped [item]", "Which save would you like to load" type things that, whatever you have in mind, don't need to be changed. After that... well... it's not total chaos -- I haven't looked too hard at it, but there don't seem to be lines from Pacalon mixed in with the Granseal stuff -- but it's not in that great an order, and you'll have to do some hunting to find what you're looking for. I mean hell, the first in-game line is 511, and it skips backward to 484 pretty quickly. For those who readed my original messages, well don't worry about it i found out what was wrong. It was a simple problem with Caravan + SF2 editor and the dialogue and character name. Only thing i can see that could be improved would be instead just naming everything filename and number, such as "Battle Sprite 42", you could rename them to say "Battle Sprite Lesser Demon". But, other than that, it's brilliant! I'm now using PSP7 as recommended from Stordarth. But my Problem is, if I change the palette in PSP7 and import it into the caravan it doesnt' change, it stays the same as it was before. Was testing it for Jaha. I have two pictures to illustrate, what I mean. Minister: "Don't worry about him (Sir Astral). If he dies, it doesn't matter. He's old anyway. My bad, I should have clarified that. Map sprites (the one on the battle map) all use the same palette. There's no way around that sadly. Battle sprites and portraits should all change though. How are you getting to grips with psp? Basically, you'll have to approximate the map sprite as close as you can using the colours in the current palette. You should still be able to get a fair approximation using those. Don't forget though, unlike the battle sprites, where changing one frame's palett will fix them all, the map sprites all need to be exported and altered individually. Stordarth wrote: My bad, I should have clarified that. Going pretty well with PSP, thanks again for the recommandation. It's a pity the palette is fix, but I'll get along with it. Thanks for all the help and I'll continue experimenting with the tools. That map sprite looks pretty close to what you were aiming for in the portrait. nicely done. did it import ok? It looks a little darker ingame and I did some small adjustments, but it works fine now. That's a really good re-colour. I removed the red nose too in my latest mod - still very much in progress. Wow looks like everybody hates the red nose because I too have removed it and all his freckles. I couldn't stand looking at that thing any longer. HappySquid wrote: It looks a little darker ingame and I did some small adjustments, but it works fine now. It looks like you're going for a more gritty style recolour? In any event, I'd like to see the results. With a gritty recolour, it might be a good idea to recolour map palettes too, to make the environments less vibrant. 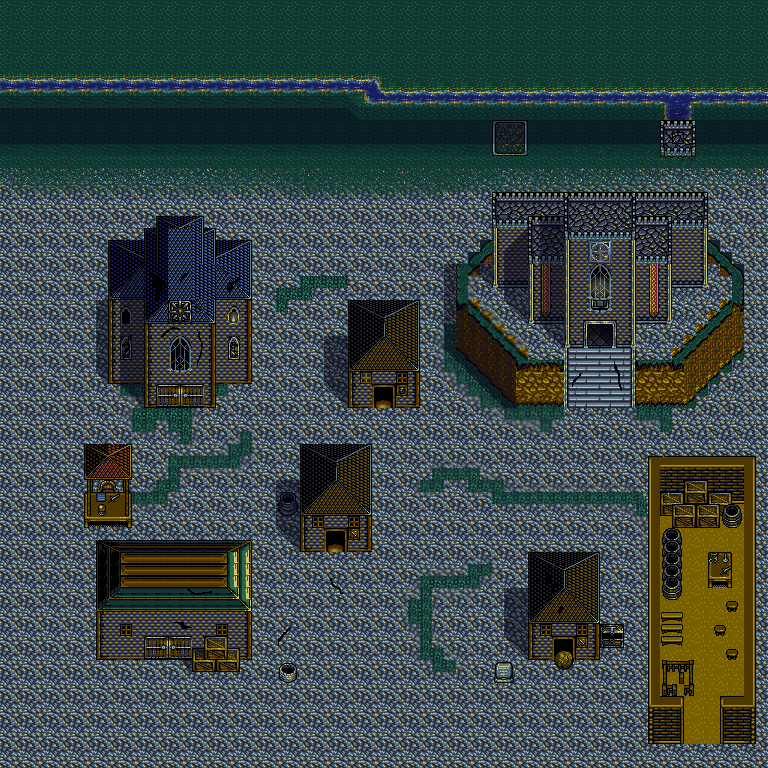 Slight problem im having is it won't allow me to save when i modify map sprites. Are you editing the milestone or the 12 man marathon? OOH! Hello Gold Star # 2! Just editing the original shining force 2 rom at the moment while i get the hang of things! Can you post the error you keep getting? It might give me a clue whats up. Though equally, it might not. worth a look. Stordarth wrote: Can you post the error you keep getting? It might give me a clue whats up. Though equally, it might not. worth a look. When it says the error is copied to clipboard, it should be ready to paste. Lets try and keep discussions to your reverse hack thread though from here, we're taking this one a bit off topic.